The more distance there is between you and an attacker, the more time you have to prepare to do battle. If the distance is great enough, you may not even do battle at all—it’s always preferable to find an exit and take it, if possible. At close range there is no time to prepare for anything. You are either fighting, or you are losing. 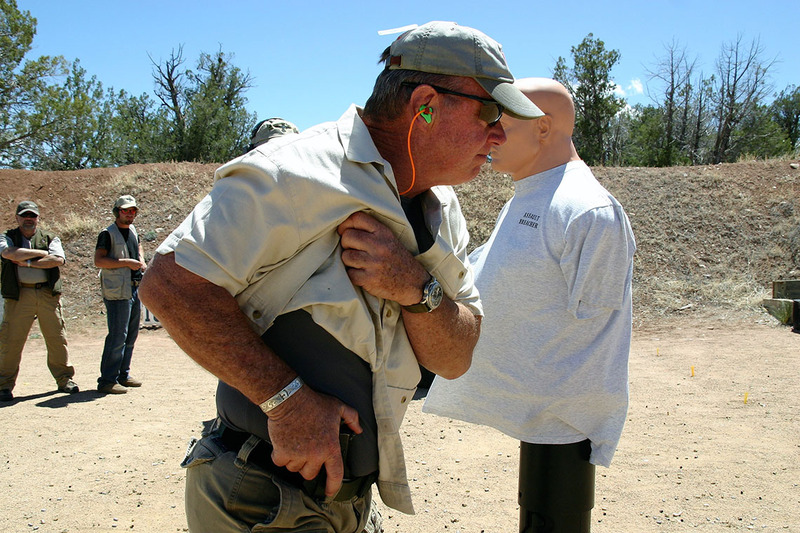 On the range, you are standing in front of a target and, before any command is given, your mind is already set on shooting that target. In the real world, your mind has to evaluate a lot of data before you know you are going to shoot at anything. You enter a convenience store and a guy at the counter makes you nervous (“Oh, he’s wearing a ski mask!”). Your eyes immediately go to his hands (“Oh, he has a gun and is starting to point it at me!”). Then, and only then, are you ready to take action, and that action had better be mighty fast and accurate. You must remember that everyone is a good shot at close range. Therefore, it is critical for you to learn to quickly evaluate a situation, make a smooth, quick presentation with your concealed-carry gun and deliver accurate hits to the vital zone of the attacker. That is the key to fighting in the danger zone (Editor’s note: Did someone call Kenny Loggins?). This entry was posted in Concealed Carry, Guns, Personal Defense, Training and tagged concealed carry, gunsite, home defense. Bookmark the permalink.